In East Is East‘s greatly anticipated sequel West Is West, Sajid Khan is still a weird, mixed up boy even if he has ditched the Parka. 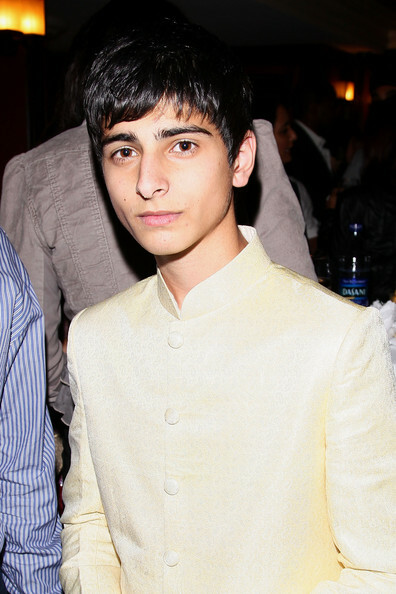 Despite the uncanny resemblance to actor Jordan Routledge who played the orginal runt of the Khan litter, 17 year old Aqib Khan was most definitely something of a find for producer Leslee Udwin as he deftly picks up where Sajid left off over a decade ago only a few years older and in the throes of a pubescent identity crisis. West Is West will be Aqib’s début professional performance which comes as something as a shock as the kid has clearly got a lot of talent! HeyUGuys got to hear about the excitement first hand as well as just how he’s been coping in his new-found limelight. Did you ever consider acting as a possible career before West Is West? Never, I never thought about it. I thought it would be too hard to get into and it would be a struggle. But the first thing I ever went for I ended up getting and it’s huge! Now obviously I’d like to make acting my career. After experiencing it, it’s fantastic. I’d love to do this. Have you met the actor Jordan Routledge, who originally played Sajid? Yeah, Jordan came down to Salford whilst we were filming. He told me how it was for him in East is East. He said how wonderful it was to be acting and how he would have loved to be in the sequel but he’s got a kid now! Have your friends back home picked up on how big this is going to be for you then? They’re like me, they don’t know how big this is going to be! My best mate Hasan is the one who told me to go for it. I got the audition slip from our head of year and I was wondering to myself if I should go. Hasan was the first person I asked and he said to go for it and just see what happens because he knew I was a confident lad. So I went down to the auditions and I told him to pray for me so he thinks his prayers got me the part. What was it like when you were waiting to start the role? Obviously being a Pakistani I’m used to being paranoid! I couldn’t set myself up for what was going to happen because I’d never experience anything like this before and there was nobody I could really talk to who’d been in my position either. It was all very weird and I had to take every day as it came. Did they cut anything out of the film that you were sorry to lose? There were a couple of things which were cut but that was only if something didn’t work with the rest of the film. Leslee the producer said that there was a lot of footage that got damaged and cut out. When I first saw the film it looked really quick and small. But I’ve watched it a few times now and it looks really really good. It just feels weird to see it condensed as a cut, final product on screen because I was out filming such a lot. Did you bond well with the cast? Yes, I got on well with everybody on set which is what made me so comfortable and so I never got nervous. Everybody was really down to earth and very nice and we were all friends. I could speak both languages so everybody in India was like my friend! Do you have any idols in the acting world? Not really. The only films I watch are funny, slapstick films. I normally watch what any ordinary teenager would on TV. If somebody compliments me or compares my abilities to somebody else’s then I like to think that I’m myself. I think everybody’s unique and they have their own attributes. What was the most difficult scene to film? The one in the pond when we were jumping on top of the cows, because those cows were divas! I swear, they were proper divas. At the bottom of the pond there were bricks and stuff which were hurting my feet and it was freezing and the cows were doing whatever they wanted! The day before we’d found a dead snake in there. Have you ever been to Pakistan on a trip like Sajid to the Punjab? Kind of. I’ve been several times but it wasn’t like Sajid, I knew what to expect and I really indulge in my culture. Sajid felt like he didn’t belong there but with me I felt like this is my roots. How did you and Om Puri get on considering George and Sajid’s tense relationship? We were really good friends off set. Everybody bonded and we all used to have meals together. If I ever used to do anything cheeky he’d clip me round the ear, so it was great! I had to hate him when I played Sajid but everybody has had that dictator in their lives like George either as a parent or a teacher or something similar so I just put myself into that position. Do you relate easily to Sajid? I can understand him and I have friends like him and some elements of my personality may well be like him. Short little annoying Asian boy! That’s the casting description basically! How relevant do you think the film is to a modern audience? It’s relevant to every single person in the world. I don’t see why not. We’ve done test screenings all over the place from New York to Berlin and it’s been very well-received. People relate to it so much that they keep saying to the producer ‘this is my story.’ That’s fantastic and I just hope it can reach as many people as possible all around the world so they can judge it for themselves. 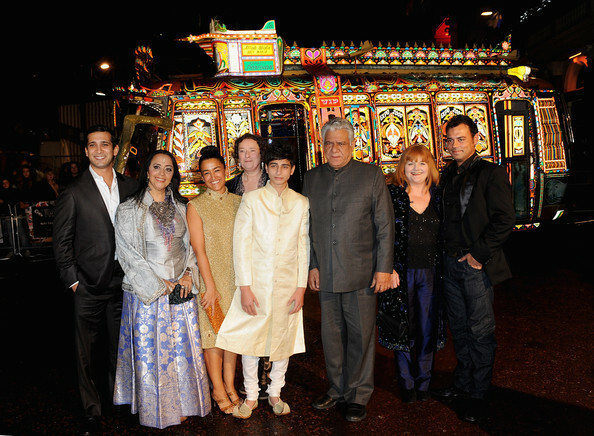 It’s a standalone film and being East Is East’s sequel is just a bonus. Did you get much rehearsal time before you started shooting? There was supposed to be a week of rehearsals but because of various things I missed it all. So the moment I got there I was thrown into the shoot on the very first day. No training, just chucked in at the deep end. What was the director Andy DeEmmony like on set? He was fantastic. I was allowed to improvise and if we liked it then we’d keep it but the script was so fantastic that as soon as I read it everything was all in my head and I could understand every single second of it. Not much needed changing. If I couldn’t do one thing then we’d improvise and see how it looks then take it from there. He was the most understanding, kindest director ever. He was very patient which was good. I didn’t do anything much to test his patience but there was an actor who had a problem with one of the scenes because he was too nervous. After 30 takes Andy kept his nerve and didn’t flip out like normal directors, he took a piece of paper and wrote the lines out for the actor and held them up for him. My main problem was getting the giggles what with being a teenager. What do your family think of the movie? They’re over the moon. My friends are usually the telling me ‘Oi, you’re not a movie star yet! So chill out.’ But my family help to keep my feet on the ground too. How does it feel watching yourself on screen? All I do is criticize whether I look good or bad in each scene. All my mates take the mick’ because there’s a scene where Sajid points out camels when he arrives in Pakistan and in my Yorkshire accent ‘CAMELS!’ sounds really funny. I hope it doesn’t become a catch-phrase… It has between my friends! Sajid and Zaid are really close in the film, did you and Raj Bhansali become friends? He was my best friend there. We used to get Sunday off so we would go to town and mess around. We used to get up to a little mischief on the set but everybody else was messing around just as much as us! While we were in India we used to watch ESPN a lot to catch up with the football scores and every time there was a break his commercial would come on. He had a Pepsi commercial which was everywhere at the time so he’s pretty well known in India. I’d actually seen him in one of his films only two weeks before I’d met him which was pretty random. Have you got much of a fanbase yet? I have a Twitter account where I get a lot of ‘Aqib you’re wonderful’ tweets which is nice! Are you ever worried the fame might go to your head? On set they would tell me, ‘Don’t get a big head – but you were fantastic!’ But I’ve got my family to keep my feet on the ground and I’ve got a brain on me. Have you indulged at all now that you’re a paid actor? I give my money to my family. I just bought myself a PS3 but that’s all. If I need something then I’ll ask my mum before I get it. My mindset is that whatever I do, I’m going to do it for my family. I’m the only guy in my house. One of my uncles is the reason everything’s happened because he’s brought me down to all of these places and he earns for his family, every penny he gets goes to them. He’s a role model for me, all three of my uncles are and hopefully I’m going to be like them and give the money I make to my family. Where do you want to be in 10 years time?